The best solution for environmental and petrochemical application challenges. Analyse the most extensive range of sample matrix (Gas, LPG and Liquid) with respect to international standards. All in combination with the new user friendly and intuitive Athena software. The TSHR TS 7000 alalyzer incorporates a high-end pulsed UV fluorescence detector which provides superior stability and detection limits. Combined with excellent uptime, matrix independence, exceptional linearity and enhanced performance, the TSHR TS 7000 is the ideal solution for both demanding and routine applications. The 5 years furnace life-time (compared to the standard 2 year offered by competitors) provides continuous productivity. Delivers low detection limits for when sensitivity matters. 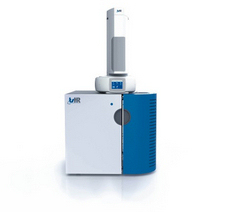 Easily analyzes almost any sample type and concentration  from 20 ppb to 5000 pp. The TS 7000 will be delivered with the HR 7000 liquids auto sampler. Total Sulfur analysis is making the future a clean place. As the full environmental impact of greenhouse gas emissions becomes apparent, regulatory agencies such as the U.S. EPA are spearheading dramatic sulfur level restrictions in motor fuels. Since 2006, the allowed sulfur content of diesel fuel had been reduced from 500 ppm to 15 ppm within the United States. These initiatives are also being implemented by other industrialized nations, particularly within the European Union and Asia Pacific region. There is now a clear trend towards more stringent limits on the sulfur content of motor fuels. Combine the power of the TN 7000 and TS 7000 analyzers in one powerful instrument for a broader analytical range. Perform simultaneous Total Nitrogen and Total Sulfur analyses easily and productively whilst using less laboratory space.